Match ends, Bayer 04 Leverkusen 0, Borussia Mönchengladbach 1. Second Half ends, Bayer 04 Leverkusen 0, Borussia Mönchengladbach 1. Attempt saved. Sven Bender (Bayer 04 Leverkusen) right footed shot from the centre of the box is saved in the top left corner. Assisted by Wendell with a cross. Corner, Bayer 04 Leverkusen. Conceded by Matthias Ginter. Attempt blocked. Sven Bender (Bayer 04 Leverkusen) right footed shot from the centre of the box is blocked. Corner, Bayer 04 Leverkusen. Conceded by Oscar Wendt. Wendell (Bayer 04 Leverkusen) wins a free kick in the defensive half. Substitution, Borussia Mönchengladbach. Florian Neuhaus replaces Jonas Hofmann. Attempt missed. Charles Aránguiz (Bayer 04 Leverkusen) right footed shot from outside the box is just a bit too high from a direct free kick. Lucas Alario (Bayer 04 Leverkusen) wins a free kick in the attacking half. 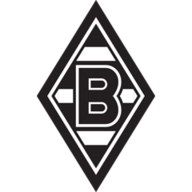 Offside, Borussia Mönchengladbach. Yann Sommer tries a through ball, but Thorgan Hazard is caught offside. Karim Bellarabi (Bayer 04 Leverkusen) wins a free kick in the defensive half. Foul by Thorgan Hazard (Borussia Mönchengladbach). Karim Bellarabi (Bayer 04 Leverkusen) wins a free kick on the right wing. Foul by Oscar Wendt (Borussia Mönchengladbach). Attempt missed. Jonas Hofmann (Borussia Mönchengladbach) left footed shot from the left side of the box is close, but misses to the right. Assisted by Thorgan Hazard following a fast break. Substitution, Borussia Mönchengladbach. Christoph Kramer replaces Denis Zakaria. Julian Brandt (Bayer 04 Leverkusen) wins a free kick in the attacking half. Attempt missed. Karim Bellarabi (Bayer 04 Leverkusen) right footed shot from outside the box is close, but misses to the left following a corner. Attempt saved. Kai Havertz (Bayer 04 Leverkusen) header from the centre of the box is saved in the centre of the goal. Assisted by Karim Bellarabi with a cross. Attempt saved. Kevin Volland (Bayer 04 Leverkusen) left footed shot from the centre of the box is saved in the centre of the goal. Assisted by Karim Bellarabi with a cross. Substitution, Borussia Mönchengladbach. Patrick Herrmann replaces Alassane Pléa. Attempt saved. Sven Bender (Bayer 04 Leverkusen) header from the centre of the box is saved in the centre of the goal. Assisted by Julian Brandt. Lars Stindl (Borussia Mönchengladbach) is shown the yellow card for a bad foul. Karim Bellarabi (Bayer 04 Leverkusen) wins a free kick in the attacking half. Attempt saved. Kevin Volland (Bayer 04 Leverkusen) left footed shot from the left side of the box is saved in the top centre of the goal. Assisted by Kai Havertz. Substitution, Bayer 04 Leverkusen. Lucas Alario replaces Leon Bailey. Sven Bender (Bayer 04 Leverkusen) is shown the yellow card for a bad foul. Foul by Sven Bender (Bayer 04 Leverkusen). Thorgan Hazard (Borussia Mönchengladbach) wins a free kick in the defensive half. Karim Bellarabi (Bayer 04 Leverkusen) hits the left post with a right footed shot from the right side of the box. Assisted by Julian Brandt. Lars Bender (Bayer 04 Leverkusen) wins a free kick in the defensive half. Foul by Wendell (Bayer 04 Leverkusen). Attempt missed. Alassane Pléa (Borussia Mönchengladbach) right footed shot from the left side of the box misses to the right. Assisted by Denis Zakaria. Attempt saved. Kai Havertz (Bayer 04 Leverkusen) left footed shot from the centre of the box is saved in the centre of the goal. Attempt blocked. Sven Bender (Bayer 04 Leverkusen) header from the centre of the box is blocked. Assisted by Julian Brandt with a cross. Leon Bailey (Bayer 04 Leverkusen) wins a free kick on the left wing. Delay in match Leon Bailey (Bayer 04 Leverkusen) because of an injury. Oscar Wendt (Borussia Mönchengladbach) is shown the yellow card for a bad foul. Leon Bailey (Bayer 04 Leverkusen) wins a free kick in the defensive half. Jonas Hofmann (Borussia Mönchengladbach) wins a free kick in the defensive half. Attempt missed. Julian Brandt (Bayer 04 Leverkusen) left footed shot from outside the box misses to the left. Assisted by Leon Bailey. Charles Aránguiz (Bayer 04 Leverkusen) wins a free kick in the defensive half. Foul by Jonathan Tah (Bayer 04 Leverkusen). Attempt saved. Alassane Pléa (Borussia Mönchengladbach) right footed shot from the right side of the box is saved in the bottom right corner. Assisted by Tobias Strobl. Attempt blocked. Lars Bender (Bayer 04 Leverkusen) header from the centre of the box is blocked. Assisted by Leon Bailey with a cross. Corner, Bayer 04 Leverkusen. Conceded by Michael Lang. Second Half begins Bayer 04 Leverkusen 0, Borussia Mönchengladbach 1. First Half ends, Bayer 04 Leverkusen 0, Borussia Mönchengladbach 1. Delay in match Thorgan Hazard (Borussia Mönchengladbach) because of an injury. Attempt blocked. Karim Bellarabi (Bayer 04 Leverkusen) right footed shot from the left side of the box is blocked. Assisted by Kai Havertz. Attempt missed. Thorgan Hazard (Borussia Mönchengladbach) right footed shot from outside the box is just a bit too high. Assisted by Jonas Hofmann following a corner. Corner, Borussia Mönchengladbach. Conceded by Kai Havertz. Corner, Borussia Mönchengladbach. Conceded by Lukás Hrádecky. Attempt saved. Nico Elvedi (Borussia Mönchengladbach) header from the centre of the box is saved in the bottom right corner. Assisted by Thorgan Hazard with a cross. Foul by Lars Bender (Bayer 04 Leverkusen). Alassane Pléa (Borussia Mönchengladbach) wins a free kick in the attacking half. Attempt saved. Leon Bailey (Bayer 04 Leverkusen) header from the centre of the box is saved in the bottom left corner. Assisted by Kevin Volland with a cross. Attempt missed. Leon Bailey (Bayer 04 Leverkusen) left footed shot from outside the box is close, but misses the top left corner. Assisted by Lars Bender. Goal! 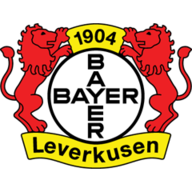 Bayer 04 Leverkusen 0, Borussia Mönchengladbach 1. Alassane Pléa (Borussia Mönchengladbach) right footed shot from the right side of the box to the bottom left corner. Assisted by Jonas Hofmann. Alassane Pléa (Borussia Mönchengladbach) wins a free kick in the defensive half. Kai Havertz (Bayer 04 Leverkusen) wins a free kick in the defensive half. Thorgan Hazard (Borussia Mönchengladbach) wins a free kick on the right wing. Corner, Bayer 04 Leverkusen. Conceded by Yann Sommer. Attempt saved. Kai Havertz (Bayer 04 Leverkusen) left footed shot from outside the box is saved in the bottom left corner. Assisted by Julian Brandt. Attempt missed. Julian Brandt (Bayer 04 Leverkusen) left footed shot from outside the box is high and wide to the left. Assisted by Leon Bailey. Attempt blocked. Lars Bender (Bayer 04 Leverkusen) right footed shot from outside the box is blocked. Assisted by Julian Brandt. Foul by Karim Bellarabi (Bayer 04 Leverkusen). Corner, Borussia Mönchengladbach. Conceded by Jonathan Tah. Attempt blocked. Denis Zakaria (Borussia Mönchengladbach) right footed shot from outside the box is blocked. Assisted by Tobias Strobl. Attempt saved. Kai Havertz (Bayer 04 Leverkusen) left footed shot from outside the box is saved in the centre of the goal. Attempt blocked. Leon Bailey (Bayer 04 Leverkusen) right footed shot from the right side of the box is blocked. Assisted by Karim Bellarabi. Foul by Alassane Pléa (Borussia Mönchengladbach). Foul by Kevin Volland (Bayer 04 Leverkusen). Delay in match Lars Bender (Bayer 04 Leverkusen) because of an injury. Offside, Bayer 04 Leverkusen. Lukás Hrádecky tries a through ball, but Kevin Volland is caught offside. Dangerous play by Lars Bender (Bayer 04 Leverkusen). Yann Sommer (Borussia Mönchengladbach) wins a free kick in the defensive half. Kevin Volland (Bayer 04 Leverkusen) wins a free kick on the right wing. Foul by Nico Elvedi (Borussia Mönchengladbach). Lars Bender (Bayer 04 Leverkusen) wins a free kick on the right wing. Attempt saved. Charles Aránguiz (Bayer 04 Leverkusen) right footed shot from outside the box is saved in the centre of the goal. Assisted by Kai Havertz. Corner, Bayer 04 Leverkusen. Conceded by Nico Elvedi.